Many Bollywood actors have made their way through the exclusive wax museum Madame Tussauds in London but the very first time a Tamil Actor will be honored. 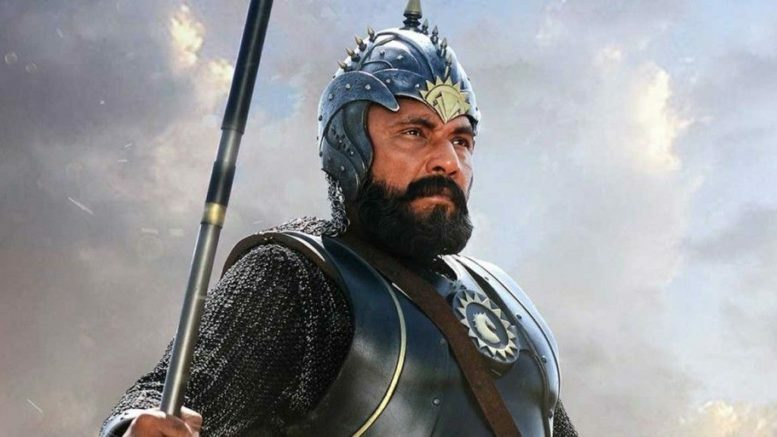 Actor Sathyaraj, who played the role of Kattapa in the prestigious movie Bahubali, will soon be seen as a life size wax statue in his Bahubali movie appearance. This is the first time achievement for a Tamil actor and his celebrity son Sibiraj shared this news to his social media account and said he is very proud of his father. His son is waiting for the moment when the immortalized wax statue of his father will be displayed in the famous museum of Madame Tussauds. Bahubali has broken all the box office records wherever it was released and people have appreciated each and every scene of the movie from across the world. It is the only Indian movie to have viewed by many countries and got accolades and appreciation at the same time. Actor Sathayraj who played the very crucial role of ‘Kattapa’ have won the hearts of many and this honor will bring a smile to each of fans very soon. Be the first to comment on "Kattapa, Actor Sathyaraj to get Statue at ‘ Tussauds’"